Here it is 2013 - where does the time go? The holidays are over and it's time to get back to reality - feel a little bit sad about that, it's been fun relaxing and visiting with family and friends. But I also always look forward to the new year - a bit of a "clean slate" and a chance to get organized. As I mentioned in previous posts, I've had a chance to play with the new products in the Spring Catalogue and the Sale-a-Bration catalogue. I wanted to share some more of my creation. One of my favourite new products is the Honeycomb embossing folder (Item 129378). I've got my fingers crossed for a hexagon punch, but for now, I ran designer series paper through the embossing folder and then cut out on the embossed lines. 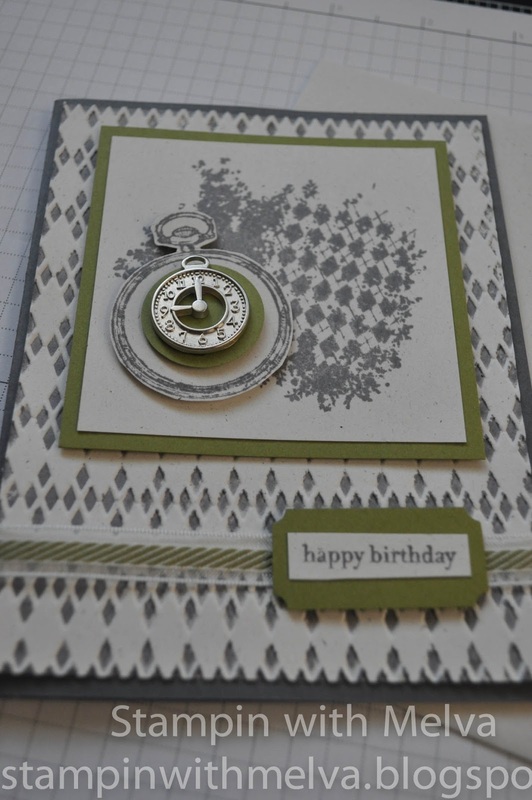 This stamp set is from the Sale-a-Bration catalogue - Feeling Sentimental. 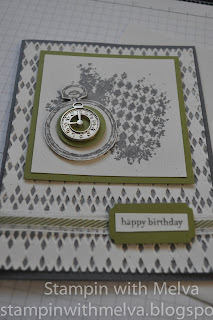 Definitely love this stampset - there are 3 different "vintagey" stamps as well as a sentiment. The Clockworks stamp set (Item 127292-Clear and Item 127290 Wood) has to be one of my latest favourites. I just ordered mine before Christmas and now wish I hadn't waited so long! 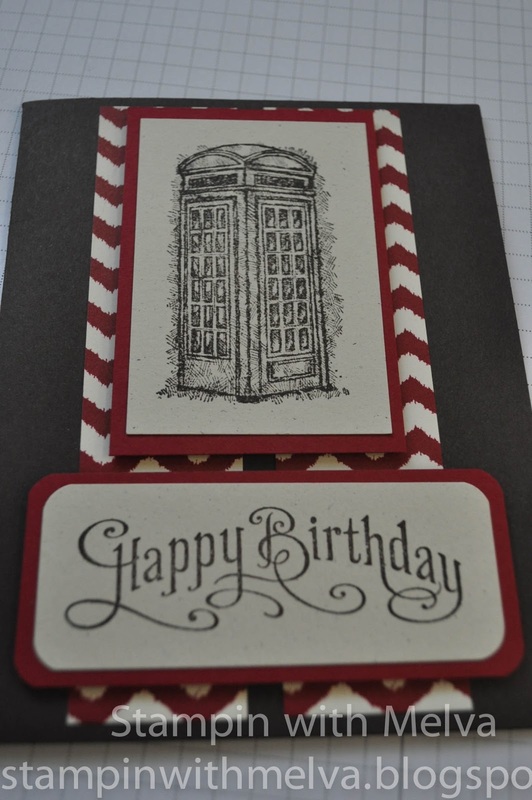 For this card I inked up the argyle embossing folder (Item 127750) with Basic Grey ink on the raised side and then ran Whisper White paper through. For embellishments I used the Tea Time Trinkets (Item 129326)for the clock face and Old Olive 3/8" Striped Organdy Ribbon (Item 129291). I definitely like the outcome! 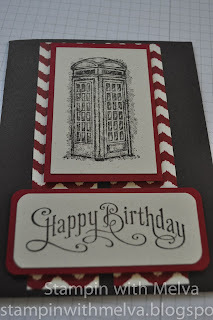 We'll be making this card at my All Occasions class on January 26th. Email me or click here to RSVP. I'll share more cards over the next few days.